We are excited to announce our second annual Mother’s Day Open House. It will take place on Saturday, May 13 from 1-5 PM. Come tour our farm. Bring a picnic and enjoy the peace and beauty. 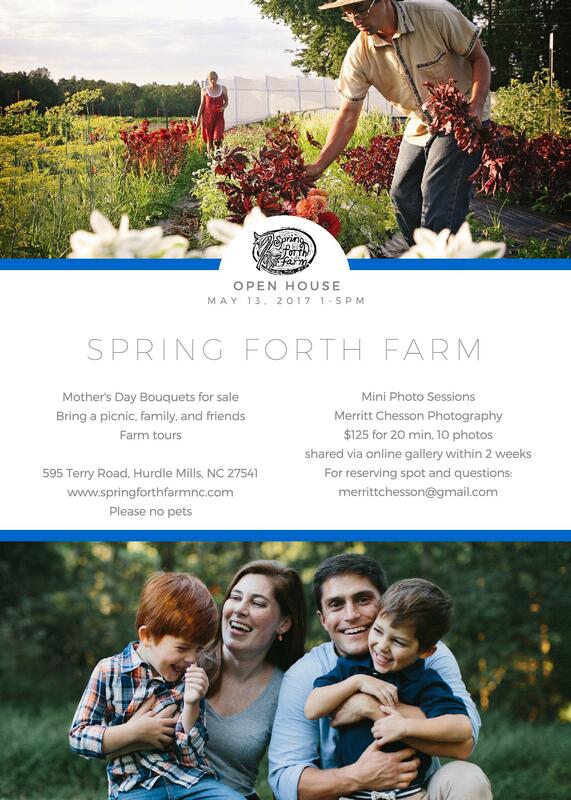 We will have beautiful Mother’s Day Bouquets for sale and Merritt Chesson will be offering “Mother’s Day Mini” family photo sessions.